We now offer pickup and delivery service to areas in Southlake, Texas, and we’re excited! Our service will start with the Foxborough and Diamond Oaks ares of Southlake. 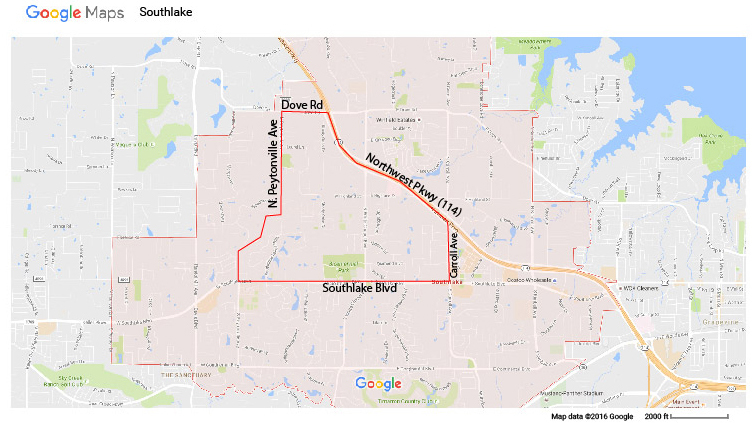 As you can see by the map, our service area will be East of Whites Chapel, West of North Carroll, North of Southlake Blvd. and South of the 114. Additional, we will also service Southridge Lakes. 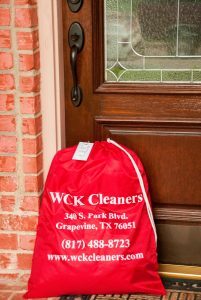 To start the service, just call us at the store, (817) 488-8723, or come on by and we can explain in detail how the service works. 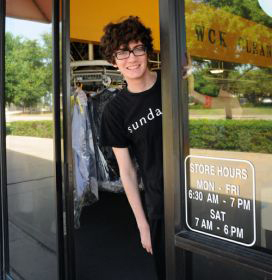 With our Home Service you will receive the same friendly service, and attention to detail that you enjoy at our Grapevine store. And yes, if you have any special request, just place a note in the bag. Our Home Service days are Tuesdays and Thursday only. 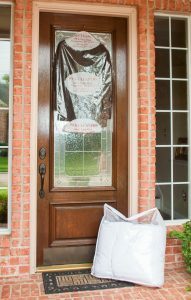 Red bags will need to be at the front door by 10:00 a.m for pickup. Returned items will be dropped off between 10:00 a.m. and 6:00p.m. on Tuesdays and Thursdays only. 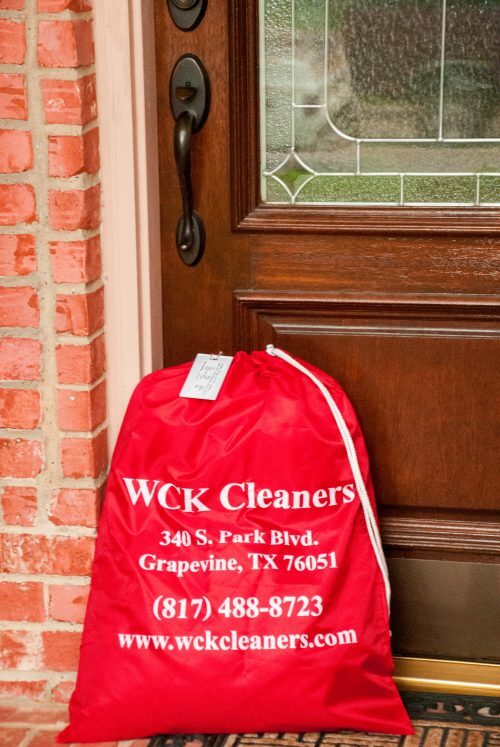 High quality vinyl red WCK bags and name tags will be provided at no cost. that card on, or about, the 28th of that month. The red bags to be picked up should be placed in a manner that is reasonably visible from the street. 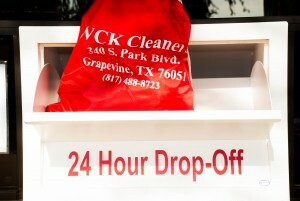 Example: If your red bag is picked up on Tuesday, your clothing will be dropped off to you between 10:00 a.m. and 6:00 p.m. the following Thursday. If your red bag is picked up on Thursday, your clothing will be dropped on the following Tuesday between 10:00 a.m. and 6:00 p.m. Clothing will be delivered and placed on the front door. Unfortunately this not a service where we can handle “Oh, I forgot to put my bag out. Can you come back?” telephone calls. We will do household items such as comforters and bedspreads (no bed sheets) in addition to the usual wearable garments, more time may be required however. Bulk/bundle items such as socks, t-shirts and underwear, are not included in our home service at this time. Yes, we have a drive-thru window….